Today’s post is about idolatry–at thinking coram Deo, as usual. I have not been doing a very good job of reflecting on the Mass readings. Too many days, I feel, I have relied on the meditations I wrote a few years ago. Today, though (maybe because teaching has finished? ), I have returned to my old friend, Psalm 46:10, at thinking coram Deo: ‘Cease striving, and know that I am God’. Thanks for reading. 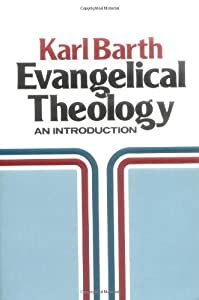 It would be difficult to overestimate the impact that reading Karl Barth’s Evangelical Theology has had on my life. No, I am not a Barth scholar. Nor have I read through the Church Dogmatics as I thought I would when I was twenty-something. But in reading that little book of Barth’s I fell in love with theology. Oddly, it isn’t a book I re-read–I’ve read Middlemarch three or four times now, but Evangelical Theology just the once. I recommend it, I assign it, I return to bits of it. If there is one bit I return to more than others, it is the description Barth gives of theological grammar. Theology is a response; we have been addressed by God, and our reply is necessarily in the second person. The object of my study is not an object at all, but a subject; not an “it” but a “you”. Sometimes I forget that, at my peril. I forget that thinking about God isn’t really possible– I mean, thinking apart from God, with some sort of critical distance. There is no such thing as critical distance, here. We are always thinking coram Deo, thinking in the presence of God, who is more present to us than we are to ourselves. There is no place for idle speculation here, there are no ‘academic’ questions. That isn’t to say that it’s not important to think hard, to read attentively (thanks, Ben Myers), and to speak clearly. But it is to say that all the hard work in the world won’t get us closer to God than we already are, won’t show us God more clearly. Only God can do that. So Barth would have agreed, perhaps, with Evagrius–the theologian is one who prays. Maybe somewhere in the pages of the Church Dogmatics I haven’t read, he says so. Either way, I am glad of the reminder that, however much I doubt my adequacy for the task of theology, I can do no better than to respond, and begin nowhere else but in prayer: Fiat mihi secundum verbum tuum.